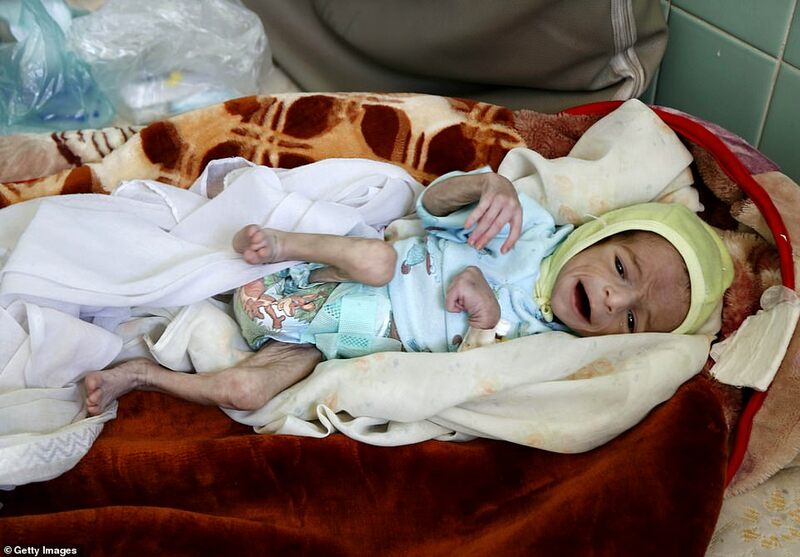 Horrifying images of Yemen’s starving children have shined a light on the brutal reality facing millions of civilians due to famine caused by the ongoing conflict. 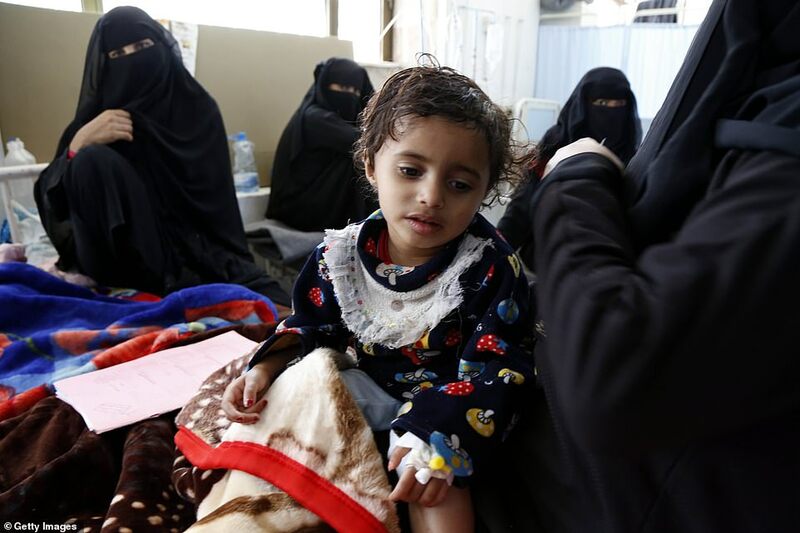 Parents were pictured cradling their severely malnourished children at the Al-Sabaeen Hospital in Sanaa as the Yemeni government’s war against the rebels rages on. 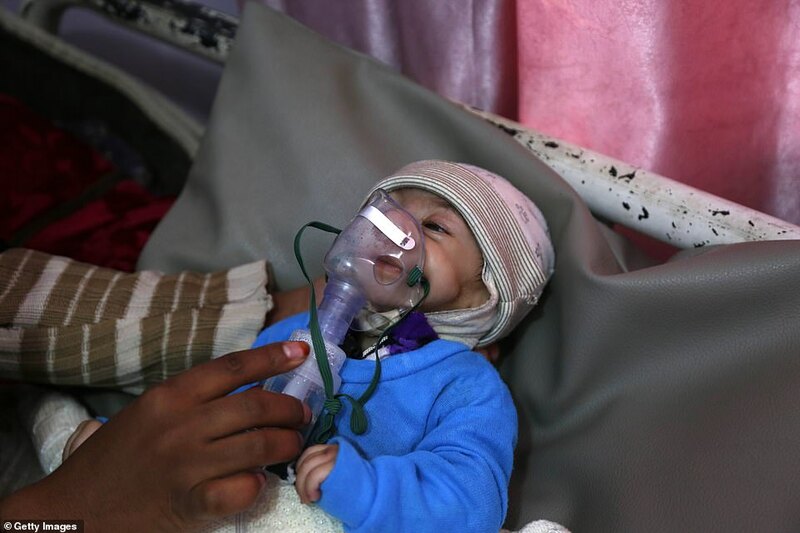 In one of the disturbing images, a severely malnourished child who looks no more than a few weeks old, clings to life as his face is contorted in agony and wrinkles due to the lack of food and water. UK-based independent research group Armed Conflict Location & Event Data Project said the death toll in Yemen was around 60,000 in December. Yemen’s government and the Houthi rebels have agreed on the first stage of a mutual pullout of forces from the port city of Hodeida, a key entry point for humanitarian aid, the United Nations said. The statement said both sides ‘made important progress on planning for the redeployment of forces as envisaged in the Hodeida agreement’. Yemen’s government has been battling the rebels since 2014, when the Houthis swept down from the north and seized the capital Sanaa. ‘It’s encouraging news that this has happened, as people had been losing faith in the process, causing fears that we’d soon see a return to combat in and around Hodeida,’ said Peter Salisbury, a senior analyst at the Brussels-based International Crisis Group. He said the parties now need to implement the agreement, warning that ‘there is plenty of room for them to play games here, so we shouldn’t get overexcited’. British Foreign Secretary Jeremy Hunt hailed their progress, tweeting that the agreement must be ‘swiftly finalised & implemented’ and urging progress on the prisoner release. The first stage of implementation, agreed upon over the weekend, would see both sides withdraw forces from the ports of Hodeida, Salif and Ras Issa, which handle about 70% of Yemen’s imports. UN envoy Martin Griffiths, meanwhile, departed from Sanaa on Monday, a day after meeting with rebel leader Abdul-Malek al-Houthi to discuss the ‘complex situation’ in and around Hodeida.